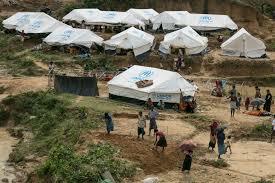 I have just returned from the largest refugee camp in the world. 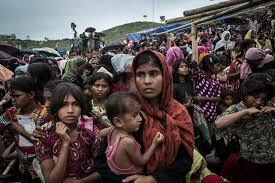 It’s where the Rohingya people have fled to Bangladesh from Myanmar, a Buddhist nation. No one knows exactly how many people are sheltering there. Perhaps up to a million. And they are still coming. In the camp, I met desperate people who call this nightmare the “Buddhist Terror.” The world has seen extremist monks fanning the flames of hatred. These people’s villages were set on fire. 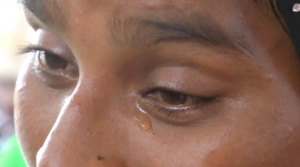 They were shot as they fled. The soldiers threw their babies into the flames. The medical workers in the refugee camps are treating hundreds of women who have been raped and horrifically scarred by sexual cruelty. Hearing their testimony was so unbearable to me as a Buddhist, my hands were trembling as I tried to hold my camera. These people want the world to hear their story. We Buddhists have a special responsibility. We need to raise our voices against these atrocities, and make it clear that this violence is not being done in our name. We need to do whatever we can to help the victims. So often when we see devastating news reports, we have no idea how to help. Our sense of helpless makes the compassionate pain we feel all the more intense. This time, however, there is something we can do. A worldwide Buddhist appeal has been launched. By adding your name here you join hundreds of Buddhist leaders and teachers from 15 countries who are asking Myanmar’s monastic leadership to defend Buddhist values and turn back the flood of hatred and violence. If ever there was a time to stand up to what is happening and say this, it is now. I visited the camp with an eye-witness delegation organized by the International Interfaith Peace Corps. 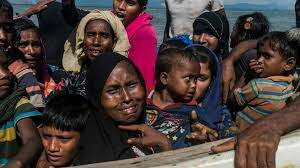 I interviewed a doctor who was one of the first responders when the Rohingya began struggling through the mud from Myanmar to Bangladesh six months ago. The same appeal, launched by the newly-created Buddhist Humanitarian Project gives you an opportunity to make a generous heart-gift of essential supplies to these victims. The most recent assessment is that a billion dollars needs to be raised between now and June to sustain the huge humanitarian effort now underway. Much will be pledged by governments, but public donations are also needed. 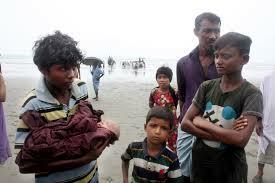 The Rohingya refugees fled their burning villages and the massacres with almost nothing. If they were carrying anything it was their children, their elderly, and the wounded. In the camp, there are thousands of orphans. Most of the ones I saw wandering around were naked. They – and everyone else – need food, clean water, clothing, urgent medical care and durable shelters. This international appeal was inspired by the socially-engaged Zen Buddhist priest, Hozan Alan Senauke, vice-abbot of the Berkeley Zen Center. I have known him for many years and it was an honour to be on the delegation to the camps with him. He is the founder of the Clear View Project, which provides Buddhist-based resources for relief and social change in Asia and in the West. 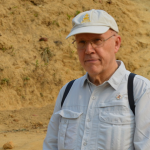 Click here to see Richard’s video of the Rohingya Camp. Click here to read Part Two of this article. Thank you for keeping us informed Richard. It is so helpful for us to know specific ways to help in addition to practicing. Bruce and I will offer soon. Thank you for your witness and advocacy. As you say, this is very painful as a Buddhist. Just reading “Buddhist Terror” is horrifying and creates such cognitive dissonance. It would be very easy to shut down but instead I am practicing with these feelings and the awareness that we are all capable of both great compassion and great cruelty. I agree that we have a special responsibility to speak out and offer any help that we can. Just read your article about your visit to Bangladesh on the Shambhala Times. I feel all upside down, as it seems so different to receive a view of the situation from someone we know in flesh and blood. Many thanks for compiling information from different people, as well as the letter and chances to make a donation. We are so used to a few seconds of compassion when watching TV news and such… we don’t know WHAT to do about the world! A direct account makes a whole difference. I’m actually thinking about translating your article for the blog of Shambhala Spain, if you don’t mind. Hopefully it will reach a wider sangha! Dear Richard — thank you for your extraordinary service and for informing Shambhala of this continuing devastating, and unimaginable, situation. Sending you much gratitude and love. I join all others- so nice to hear from you! And learning about your recent activity and very impressing engagement! I had a look at this website about you. It is so unbelievable unbearing to read! Thank you for all your information and links to get further information and learn how one can help! Dear warm hug- miss you! says of itself it is Buddhist. It is truly commpassionate work that you are doing. It’s hard to take this in. It must have been terribly difficult for you to experience, and an unimaginable horror for the refugees. Knowing more of the reality of the situation, feeling it more, sitting in my nice quiet house on a Saturday morning, I’m happy to donate and sign the petition and offer support, but it doesn’t seem enough. The news hub for the Shambhala global community. There are more than 200 meditation centres and groups around the world. Visit www.shambhala.org for more information. Quel avenir pour le trésor de Shambhala ? Website Development by Blue Mandala using Wordpress MU.